Comprehensive metering suite for post production and broadcast applications. Is there a better alternative to Insight? Is Insight really the best app in Audio category? Will Insight work good on macOS 10.13.4? Insight is a comprehensive metering suite for post production and broadcast applications. 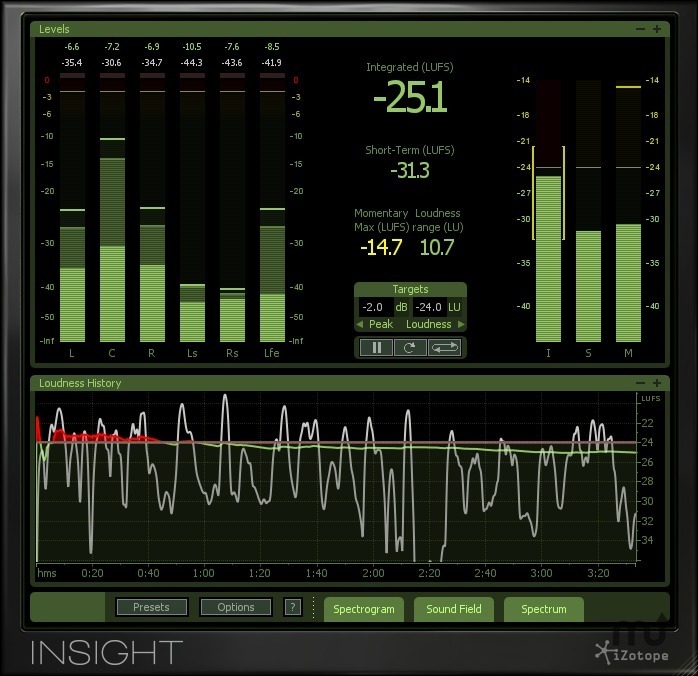 Insight provides an extensive set of audio analysis and metering tools, perfect for visualizing changes made during mixing and mastering, troubleshooting problematic mixes, and ensuring compliance with broadcast loudness standards. Fully customizable and scalable, Insight allows you to visually monitor all relevant information from your mono, stereo or surround mix in a convenient floating window. Keep an eye as well as an ear on your mix at all times with Insight. Fixed a 64-bit AAX bug where some list items wouldn't stay selected. For example, if trying to select IRC II in the Maximizer, the selection would skip back to IRC I. Insight needs a review. Be the first to review this app and get the discussion started! Insight needs a rating. Be the first to rate this app and get the discussion started!